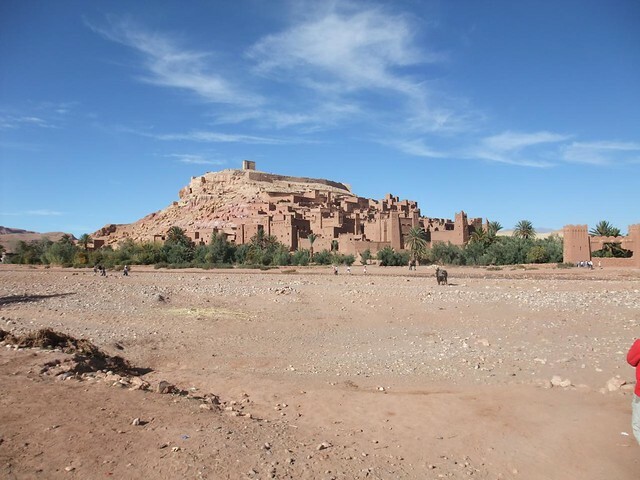 Ait Ben Haddou is one of the most spectacular manmade sights along the valley of the Kasbahs, in Morocco's rocky desert. 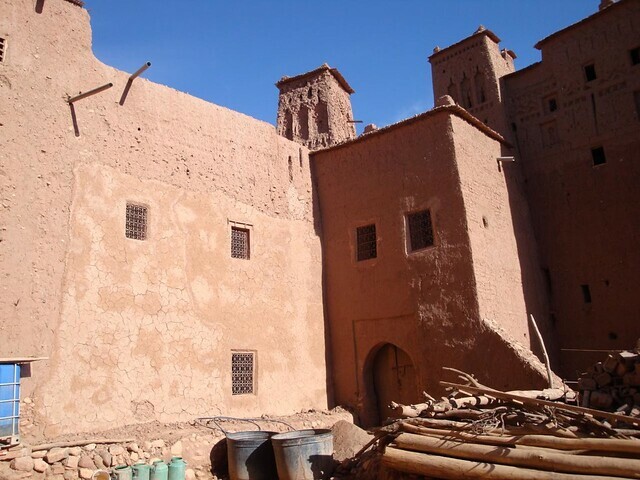 The Unesco World heritage site has been used as the backdrop for several Hollywood films, including Gladiator and Lawrence of Arabia and is an excellent example of South Moroccan architecture. Its exact date of build is unknown, but work is estimated to have begun in the 17th Century. 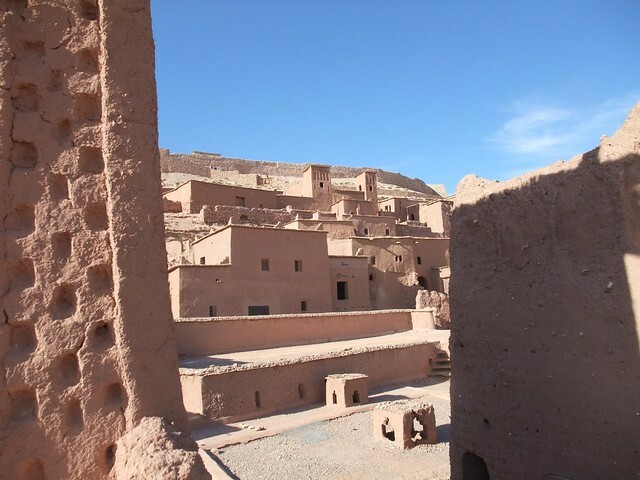 It's purpose was to serve as a fortified city along the strategically important trading route linking the Sahara to Marrakech and beyond. The crumbling buildings include houses (a handful of which are still inhabited), mosques and even cemetries. Built from local clay brick, it blends in with the landscape and can be seen from far away, rising above the desert plains. 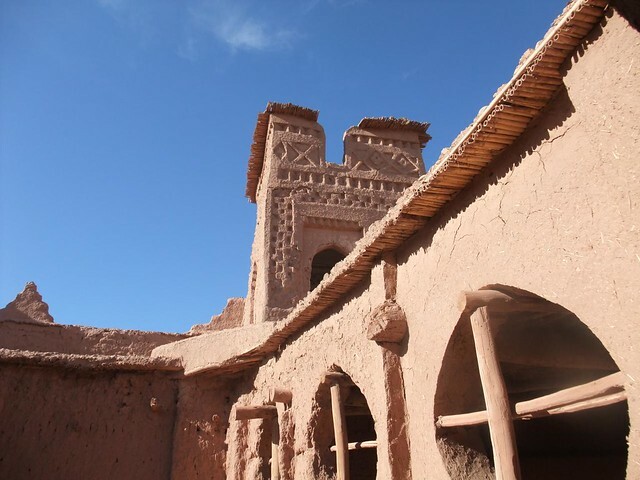 Ait Ben Haddou does attract its fair share of visitors, but it is big enough to escape from other people, especially if you are visiting out of the main season. Once inside the fortification, you are free to explore the lower level buildings and climb to the top of the hill for a stunning view of the surrounding area. There are several restaurants nearby with lovely views serving traditional cuisine. It is possible to visit in a (long) day from Marrakech, or you can combine your visit with a trip out to the Saharan dunes at Erg Chebbi. 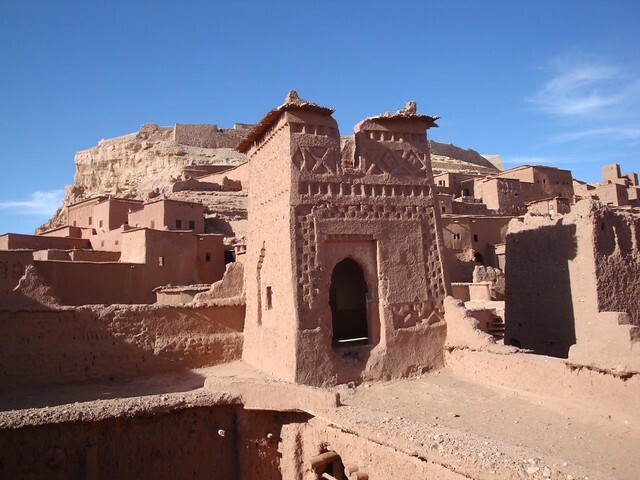 Please contact us to include a visit to Ait Ben Haddou in your tailor-made holiday to Morocco.